The episode titles here are hilarious as they seem like they’re describing a horror movie. The first episode in this series is titled “The Beagle Birthday Massacre”, which if you just read the title, you might expect a gory horror film. That’s not the case, thank goodness, but it’s rather about Webby headed to a birthday party and destroying a cake. It was delightful and delicious all at the same time. 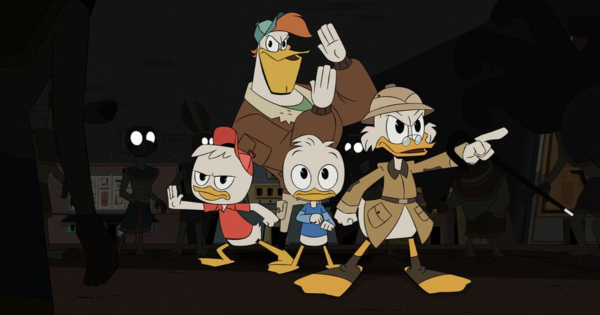 Other episodes include Scrooge and Launchpad McQuack mixing it up with a mummy, hiking up a tall mountain, and learning to drive, which was completely hilarious. The last episode on the Disc has Scrooge checking his golf game that involves magic horses. I can’t make that up, but it’s a lot of fun for all ages. The new series looks a bit different visually speaking, but is has the same charm, wit, comedy, and endearing message that the original series had. It’s a great series reboot that will continue to entertain kids and adults alike. If you get this DVD, you’ll also be treated to a couple of classic episodes of the show, which is completely satisfying. 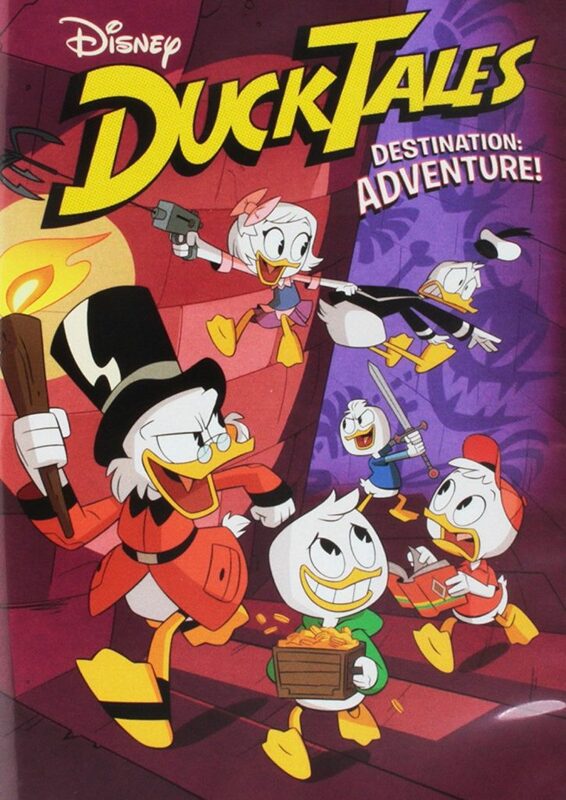 If you’re a fan of ‘Ducktales‘, you’re gonna want to have this one in you collection. This entry was posted on Saturday, June 9th, 2018 at 12:15 pm	and is filed under Film, News. You can follow any responses to this entry through the RSS 2.0 feed. You can skip to the end and leave a response. Pinging is currently not allowed. « Film Review: ‘Ocean’s 8’!